Synopsis: Discover Core, Critical, and Cardinal types of behavior which make friendship happen at all levels from mild to profound. Then explore the extremely important and highly useful research revealed 12 major subcategories of friendship actions. A recommendation for usage and furthering your friendship life, plus a few resources for learning more are also given. Friendships, like love, require actions backed by emotions and thought. Without certain kinds of behavior occurring, friendships cannot be started, grown, maintained, re-established or repaired. Thanks mostly to research in social psychology and what is starting to be known as loveology “Is There Really A New Field Called Loveology?”, we know a fair amount about what those behaviors are. Interestingly, they turn out to be rather similar to the behaviors associated with the getting and giving of healthy, real love. What follows is a summarization of the behaviors that make friendship happen stemming from some of that growing body of research. Friendship can be seen to occur at different levels. Some researchers use the three categories scale starting with mild or light or just beginning friendship, then go to medium but significant friendship, and then on to deep and/or profound friendship love “Understanding Friendship, From Mild Geniality to Profound Love”. It is suggested that the behaviors that bring about each level are best viewed and understood in ways that are rather different in each of the three levels. Keeping this in mind helps to understand friendship and friendship actions more fully, accurately and more than superficially. Like love, friendship does not turn out to be simple. However, with a little concentrated work, clarity, usefulness and ways to make abundant friendship improvements can become easily evident. So, to gain the valuable benefits of Friendship and Friendship Love and reap those rewards, we suggest you may want to apply yourself to what follows. All three groups contain four more exact and highly important subcategories. These subcategories are quite similar to a research approach used for categorizing the many behaviors that have been seen to convey and result in healthy real, love and improved love relationships. These are the behaviors best focused on for starting friendships, maintaining mild or light friendships and for generally being friendly and available for forming new friendships. These behaviors continue to be important in categories II and III and in the subcategories of more comprehensive and advanced friendship behaviors. 1. Expressional Friendliness Includes: Facial Expression (smiles, looks of interest, caring attentiveness, etc. ), Voice Expression (tone, speed, upbeat, volume, positiveness, etc. ), Gestural Expression (open arms, waving, thumbs up, etc. ), Postural and Stance Expression (moving toward, standing beside, leaning toward, etc.). Note that all forms of expression by motion, (face, body, etc.) have been found to manifest about 55% of the communication value in informal, personal conversations. Voice expression carries about 35% of the communication value (words only 7%). 2. Tactile (Touch) Friendliness Includes tap touches (especially good in beginning friendships), pats, buddy hugs, hand holding, upper body hugs and later full body hugs, etc.). Such touches are best begun mildly, lightly, quickly, non-invasively, non-romantically and non-sexually and have been known to frequently and rapidly accelerate the development of friendship. 3. Verbal Friendliness Includes using friendly, positive words like “good, fine, okay, yes”, polite words like “thank you, you’re welcome, first names”, asking friendly questions, assistive statements like “can I help, can I assist you with that”, supportive words like “I agree”, I am so glad you told me that, I see it that way too” etc. Note: Do not be phony but do go out of your way to look for sincere reasons to say such things. Words, by the way, have been found to be only about 7% of the communication value in typical, informal, personal interactions. 4. Gifting Friendliness Giving both object gifts and experience gifts can be quite helpful in friendship development so long as the gifting is not overdone, overly expensive, overly frequent or, at first, overly personal. Giving someone a book is an object gift and taking someone to a movie they want to see is an experience gift. Experience gifts and symbolic object gifts usually are more impactful than practical gifts. Here you find the behaviors to focus on for having deeper and more significant friendships. These behaviors are seen as crucial for growing a friendship from mild to significant and with lasting meaningfulness. 1. Affirmational Friendship Included here are honest praises, compliments, statements of personal appreciation, approval, respect and validation along with actions like sharing emotional experiences together, taking a friend’s side in a dispute, coming to a friend’s aid, just being there ready to help, celebrating a friend’s victories and special occasions, etc. and any other action which affirms the worth and importance of an individual to you personally. 2. Self-Disclosure Friendship Included here is revealing, by both word and action, your personal and more private idiosyncrasies, foibles, preferences, personal problems, failures, victories, peculiarities, embarrassments, enjoyments, items of pride and joy, and anything else that lets yourself be both more intimately known and vulnerable. Also included is the willingness to empathetically and nonjudgmentally hear the same kind of disclosures from another. It is by this process that friendship becomes intimate and usually more powerfully bonded. 3. Tolerational Friendship As friendships continue and grow, friends run into each other’s less than pleasant aspects. That is where friendships encounter the challenge of toleration. However, some things are not to be tolerated or tolerated only temporarily. For many, anything which is demonstrably harmful or destructive to anyone’s life, health or well-being fits in this category. Notwithstanding that caution, issues of fairness, freedom, truth, compassion, altruism and love also are to be considered here. Lesser issues of intolerance especially for minor irritations, aggravations and annoyances suggest the possibility of a kind of mental self torturing occurring that correlates with secret or subconscious low self love on the part of the one who feels intolerance for these things. 4. Receptional Friendship It is a gift of friendship, and possibly of love, to receive well the actions of friendship and love which come from others. It is receptionally loving to sincerely focus on those actions and who they come from, to purposefully appreciate them and then, more than perfunctorily, show that appreciation. It is important to spend time truly appreciating the friendly and positive treatment you get from others, and not fake it. When you fake it or pass it off too quickly, you do not really receive it or let it do you good. That, in turn, reduces real friendship connecting. For growing deep, profound and lasting friendship love, the following subcategories are best focused on because they are seen to be of Cardinal Importance in this more profound process. They encompass and are supported by the two groups and eight subcategories of behavior already described, plus they go deeper, broader and higher in their focus. Thus, they yield a substantially deeper, broader and higher experience, more comprehension and sensing of friendship and the actions involved in creating profound friendship. 1. Nurturing Friendship Included here are all the behaviors that help people grow and become more than they were. 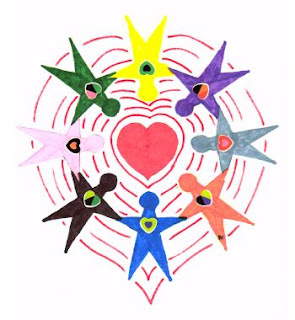 Nurturing friendship actions are supportive, encouraging, challenging, comforting, difficult truth telling, rewarding, understanding, valuing, sharing, honoring, appreciating, affirming and everything else which helps a person become more of the good things they can become. Also included are the actions which help someone find and develop their own potentials, better meet their own challenges and better fulfill their own aspirations. Nurturing means to assist in ways that strengthen, assists in making more effective, more complete, more accurately self honoring and more healthfully self loving. It also means to do nurturing in ways that are in accord with another’s nature and ways of being their own unique self. Some examples might be helping someone fulfill a lifelong dream, discover and actualize a hidden talent, improve general life skills and coping abilities, win at love or find ways to enjoy life more fully. 2. Protectional Friendship Real friends and true comrades are protective of each other’s safety and well-being and that protection often extends to their friends, family and important others. Such friends stand together in facing adversity, are allies against enemies and in overcoming destructive occurrences. They are often on the alert to warn of approaching damage, hurt and harm and are sensitive to and on guard about not being overprotective. The phrase “I’ve got your back” typifies this aspect of friendship and the behaviors it brings forth. 3. Healing Friendship The research shows that friendships are very helpful in healing many maladies and injuries. If someone you are close to in friendship is injured or ill you tend to act in whatever ways you can to help them get better. In doing that, your assistive healing influence is practical and obvious. But just being there with them or even close by, has been discovered to often have a surprising and mysterious healing and healthful effect. This is true among the physically sick, injured and debilitated and even those undergoing various normal medical procedures like pregnancy and birth. This is even more true among those psychologically in need of healing. Just going through a difficulty knowing someone who cares is there for you has a more than is completely understood, healthful effect on many. In the area of relationship healing, such friendship has been known to save lives, children’s mental health and whole family’s existence. 4. Metaphysical Friendship Praying for a friend is the most common metaphysical behavior of friendship but around the world there are many others done in various cultures and societies. Lighting a candle at an altar, flying a prayer flag, creating a blessing-type sand painting, doing liturgical dancing for spiritually honoring of a loved one or deep friend, the reverential reading of sacred texts, spiritual chanting, singing spirituals, envisioning white and gold light exercises, ritual washing and baptizing and a host of greatly varying religious and spiritual rituals, all constitute metaphysical behaviors that are sometimes done by friends on behalf of friends. It is hard to prove scientifically but there are well conducted studies showing surprisingly positive and supporting results for doing all of these kinds of metaphysical behaviors. For certain, they often are beneficial to those who do the behaviors and for the target people who are aware of the behaviors being done on their behalf. But what about those in deep unconscious states, those unaware that such actions are being conducted and aimed at them, those geographically far away and especially what about the loved dogs, horses, cows and other animals for which such metaphysical actions seem to benefit. One of the things we do know is that metaphysical, or spiritual if you will, behaviors are enacted often with intense emotional energy, great sincerity and profound love by and for friends. They, therefore, constitute this separate category of Cardinal Friendship behavior. Recommendation: To improve your life’s friendship situation, give special attention to the 12 subcategories above and choose which ones you want to make improvements in. Then set to work on doing so, as you also work to do so from deep inside your heart self. For further friendship understanding link to mini-love-lessons “Friendship and Its Extraordinary Importance”, “Friendship ‘Like’ to Friendship ‘Love’”, and “Understanding Friendship, From Mild Geniality to Profound Love”. Some books you might want to read: Love and Friendship by Allan Bloom, Friends As Family by Karen Lindsey, Friendship: How to Give It, How to Get It by Dr. Joel D. Block, The Friendship Factor by Alan Loy McGinnis, Friendship by Martin E. Marty, The Meaning of Friendship by Dr. & Sufi Master Nurbakhsh and How to Make Friends As an Introvert by Nate Nicholson. PS: Help spread love knowledge. Tell somebody about this site – okay? 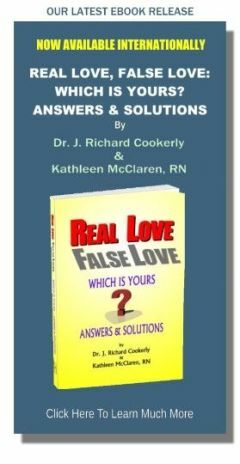 ♥ Love Success Question: Are you going to evaluate your own friendship actions using the 12 kinds of behavior described above? (By the way, with just a few adaptations you also can use the same 12 behaviors for evaluating your love behaviors in each type of love relationship – parent, mate, self, etc. ).